6 months touring Scandinavia in our motorhome – how much did it cost? Our first year full-timing in a motorhome – how much did it cost? Finishing work last Friday was a bitter sweet moment for both of us; deeply emotional, the upcoming excitement of our long-planned adventure was tempered by the dawning realisation of how much we are choosing to leave behind. Invoking change always brings difficult choices. Leaving the current, comfortable pleasantries of our working life and social circles for as yet unknown possibilities is both wildly exciting and strangely worrying. The day has arrived but it will take time for the realisation and appreciation of our decision to fully sink in. We had effectively been camping in our house for a week, sleeping on the relocated mattress from Benny and sitting on camp chairs in an empty living room. 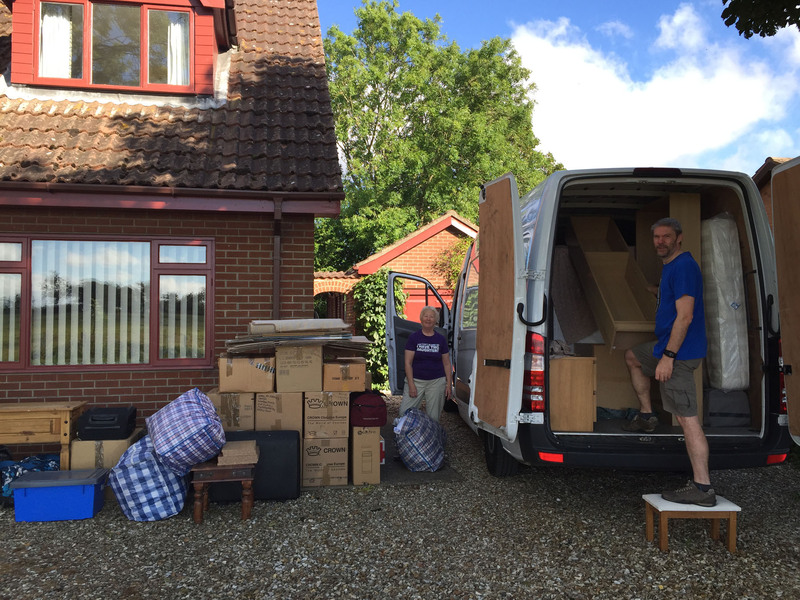 This was the result of our earlier furniture removals on a previous weekend. This transitional phase helped us psychologically to begin cutting the bonds of property and excess possessions, allowing us to see a little clearer what is truly important to us and, perhaps more helpfully, to understand what we can live without. A last hectic, stressful and over-busy Bank Holiday weekend of constant packing, redecorating and deep cleaning was finally over. Hopefully our efforts allowed us to present the property appropriately for our new incoming tenants. After months of planning and long nights of efforts, it was quite a wrench to walk away, knowing it’s unlikely we’ll ever live in our home again. Our planned timings for finishing everything in the house and getting away were vastly optimistic and proved impossible to meet. Instead we drove off, not to return for at least a year, over four hours later than planned. Grubby and emotional, we drove separately (in our remaining car and Benny) to deepest, darkest Lincolnshire, arriving late and utterly exhausted in the rural darkness. Thus began our last few days with family before heading back south again to begin our journey in France. Here we unpacked and stored the last straggling possessions from our house and began the process of deciding what will make the cut for going with us; no small matter with space in Benny at such a premium. When our enthusiasm for the constant repacking and sorting began to wane, we had a welcome break and got ourselves out on our bikes for a few hours. 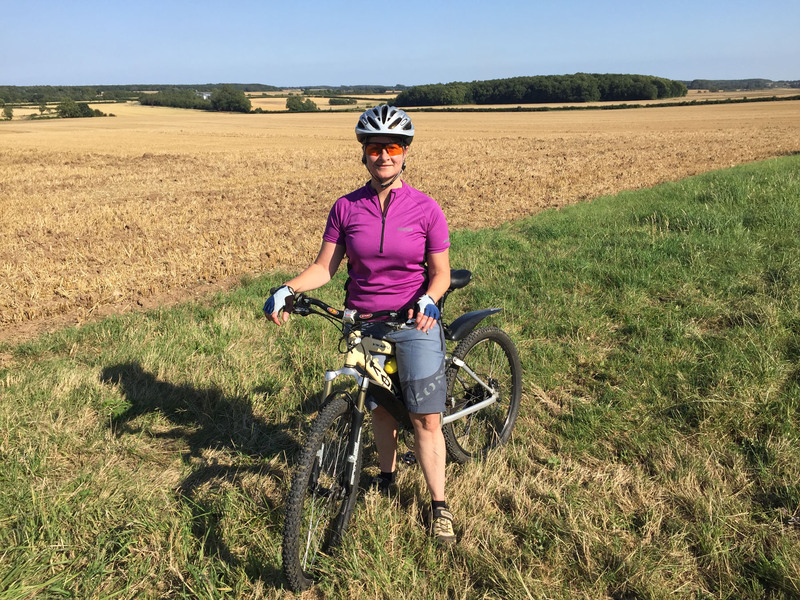 Cycling the winding back roads near Withern, South Thoresby and Legbourne in the afternoon sun was definitely cathartic, and really set a mood for what we hope our days abroad will be like. Doodling on bumpy bridleways and quiet roads past fields of corn, beautiful mills and through tranquil hamlets was the ‘rest’ we definitely needed. Many fields were still to be cut and the low drone of harvesters was often the only sound, and the sun showed off the low-rolling countryside at its glorious best. 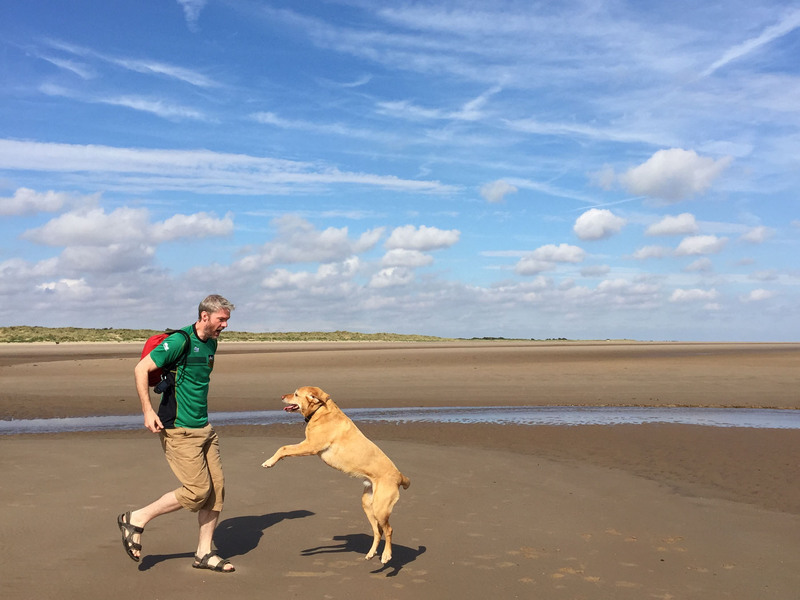 The following day, when we felt satisfied that further progress had been made with our packing, we had a trip to Mablethorpe beach for a dog walk and a quick dip in the surf. We watched kite-powered sand buggies race up and down the wide stretches of sand, whilst families picnicked with wind breaks, shade tents and cricket bats in that very British manner. This pleasant beach walk held another useful purpose; it enabled our initial testing of Aaron’s parting gift from work – a Garmin handheld GPS – that will no doubt prove invaluable in the coming months. A quick stop off in the rather seedy-looking town centre of Mablethorpe to sort some bank-related issues and pick up a few provisions, then back to the on-going task of selecting which clothes get to travel with us. 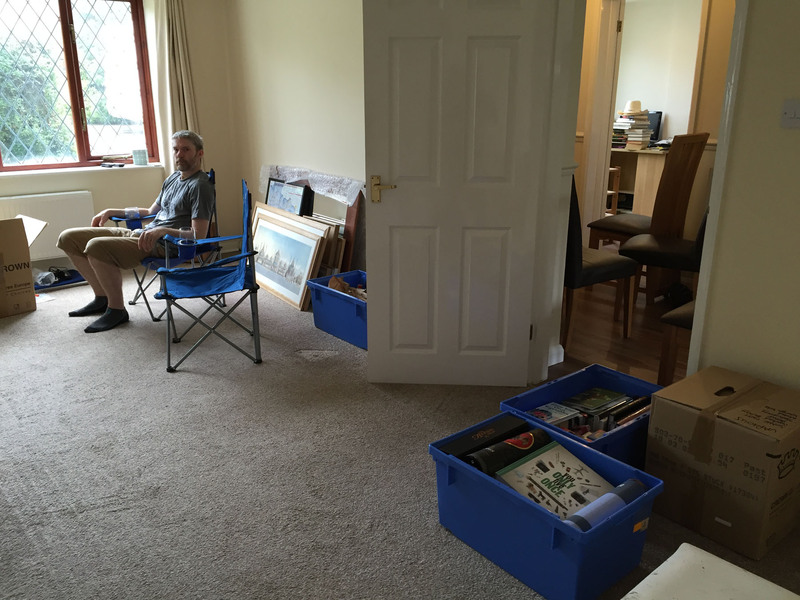 A few hours of further organisation (and a couple of sneaky afternoon beers to help oil the decision making) and we got mostly packed up, at least for now. Our preparation is going pretty smoothly and we’re getting some good rest in between too, so we would have to admit it’s all coming together; so far, so good. This entry was posted in Our Travel Journal, The Planning Stage on Aug 31, 2016 by Aaron Hill.